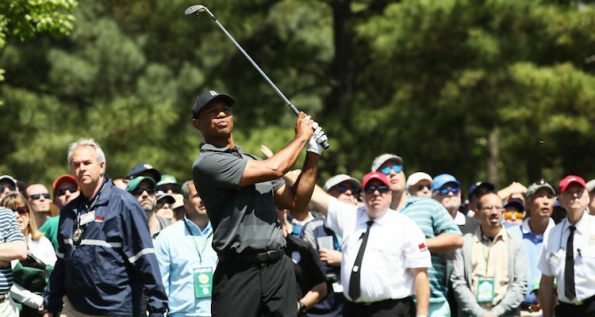 On Friday, Tiger Woods and Phil Mickelson competed in a head-to-head matchplay competition as fans looked forward to seeing two of golf’s greatest players battle, even though some complained the event was coming more than 10 years too late. There were some fun moments to go along with the bad, but the most notable moment came when cameras seemed to catch something as Tiger walked past a crowd of fans. Video surfaced online showing Tiger being handed something by a woman standing next to the course and most beleived it was either a phone number or a room number. This scenario isn’t entirely out of the question as we all know of the cheating scandal that rocked the golfing world a few years ago.